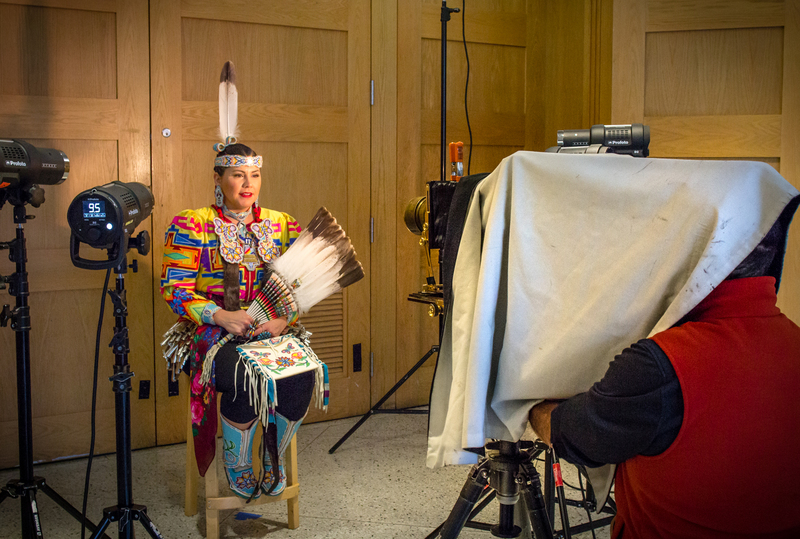 In advance of next summer’s exhibition, Double Exposure: Edward S. Curtis, Marianne Nicolson, Tracy Rector, Will Wilson, Seattle Times photographer Alan Berner captured Will Wilson and his mobile tintype studio, creating works that will appear in the exhibition. The Seattle Times featured SAM’s Art Beyond Sight program, which host free tours of the museum’s collection and special exhibitions for visitors with low or no vision. Here’s the Stranger’s Katie Kurtz on Andrew Wyeth: In Retrospect and the artist’s many secrets. Sarah Margolis-Pineo interviews C. Davida Ingram for Art Practical about her practice, in advance of her Jacob Lawrence Legacy Residency project in 2018. Here’s City Arts’ Margo Vansynghel on Alison Marks: One Gray Hair, now on view at the Frye Art Museum. Check out the Holland Cotter’s review—and the big, beautiful images!—of Michelangelo: Divine Draftsman and Designer, now on view at the Metropolitan Museum of Art. Conservator to exterminator: how a dead grasshopper was found in a Van Gogh painting. The New York Times Magazine offers this dispatch from “one of the quietest places on earth.” Doesn’t that sound nice?